Blue Badges are intended for issue to disabled people with severe mobility problems who have difficulty using public transport. 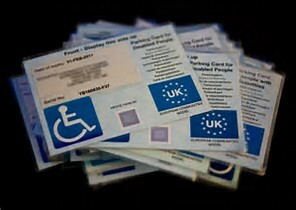 The Local Authority is responsible for assessing whether applicants meet the criteria for a Blue Badge. People who do not receive qualifying benefits* can still apply, but need to obtain and complete the full form. Their application needs to be assessed by a health professional to determine whether the applicant is eligible. This may include attending a mobility assessment in person. If you receive one of the qualifying benefits* you need to take proof of this, together with your completed short form, passport standard photo, and £10 fee to any Knowsley One Stop Shops. If you do not receive any of the qualifying benefits* you should post (or take) your completed full form to the Centre for Independent Living (CIL), Unit 11 Brickfields, Huyton Business Park, L36 6HY. Your application will be assessed by a health professional to determine whether it provides sufficient information to be eligible for a Blue Badge. The CIL will contact you with details of next steps. Click here to view a diagram of the Blue Badge application process in Knowsley.